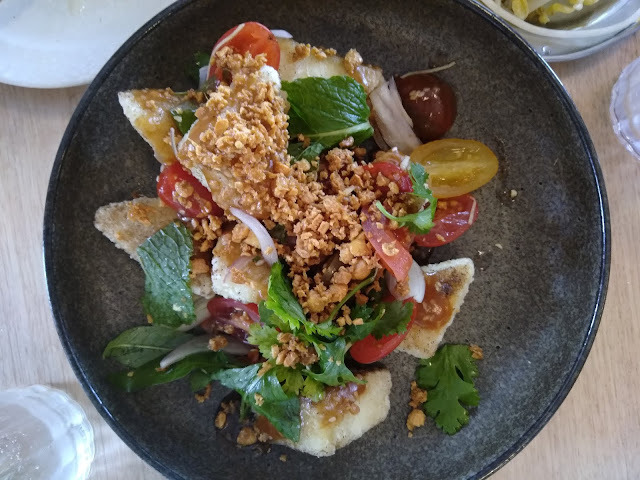 Hanoi Hannah has almost been a Melbourne institution for some years now, and with this success, the trendy Vietnamese eatery is opening in more and more locations. The Richmond location is away from the plethora of happy go lucky Vietnamese restaurants on Victoria Street, and boasts clean and happy decorating, with modern Vietnamese food, and up beat cocktails. There are still your usual favourites, and enough vegetarian options to share a fun meal. I love the crispy tofu salad; soft tofu, battered and fried like tempura, and served with a sweet tamarind sauce and peanuts. This dish was more-ish. It is difficult to find good, vegetarian pho. 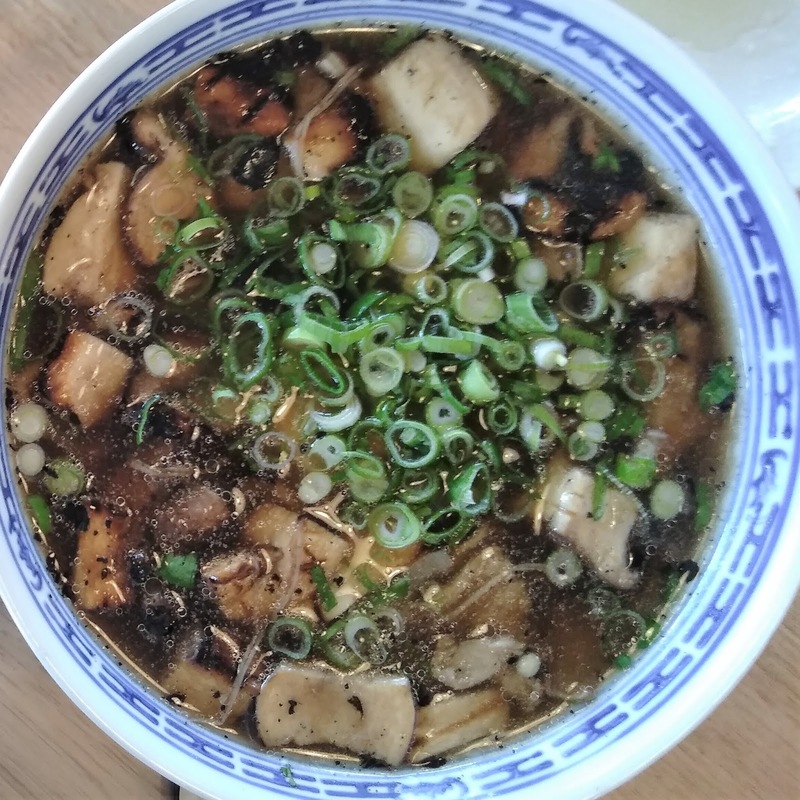 Their mushroom one is intensely flavoured with pepper and star anise, giving a unique taste to this old classic. 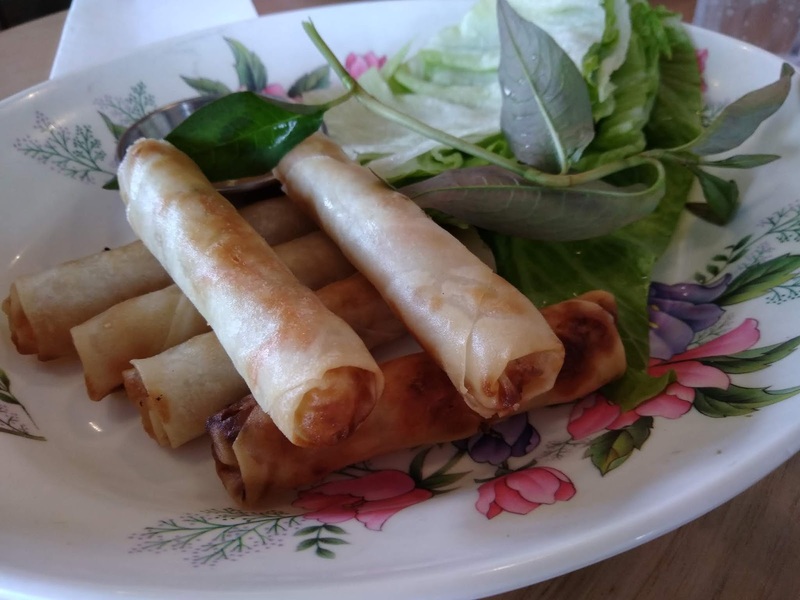 The spring rolls are pretty standard. 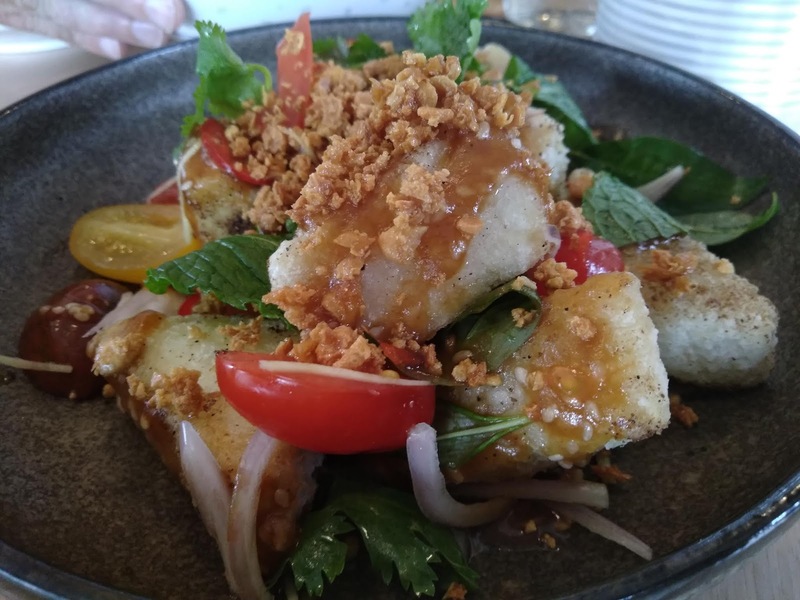 Other vego options include papaya salad and greens.